The 22ft. SHARK ATTACK FALLS is an adventure you'll never forget. This oceaned color slide will capture the horizon and rival the size of any 2/3 story buildings. After climbing to the top of this aqua adventure you view of the horizon will be unmatched but dont look down! 22ft below is a splash landing right into the shark zone. 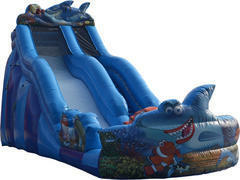 With colorful shark and oceanic graphics all around this slide is a step above the rest nothing in the area compares. Handsdown the best waterslide in the area. 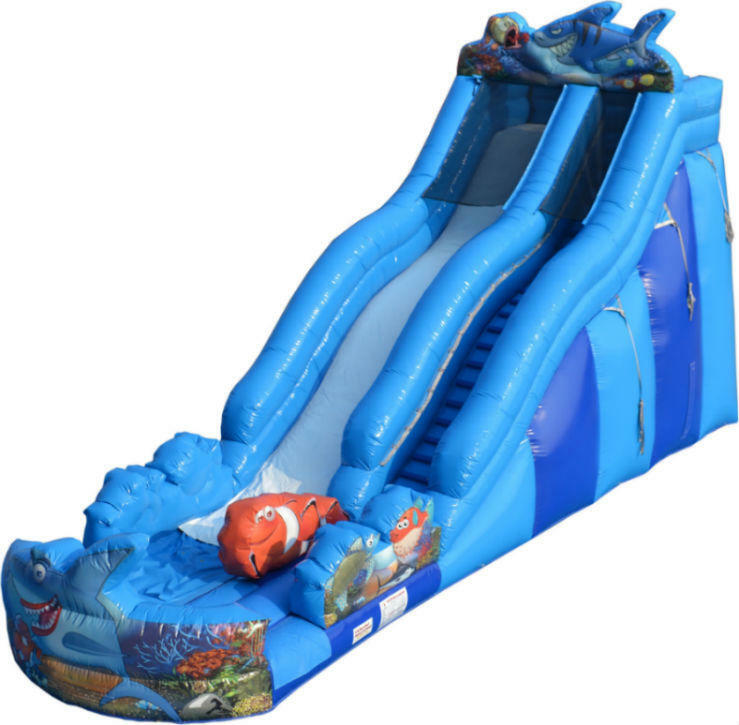 Rent this Quad City water slide today. Also available to use it dry on the not so hot days.